Although we were not able to attend the rehearsal, Lily still did a splendid job on her flower girl duties. 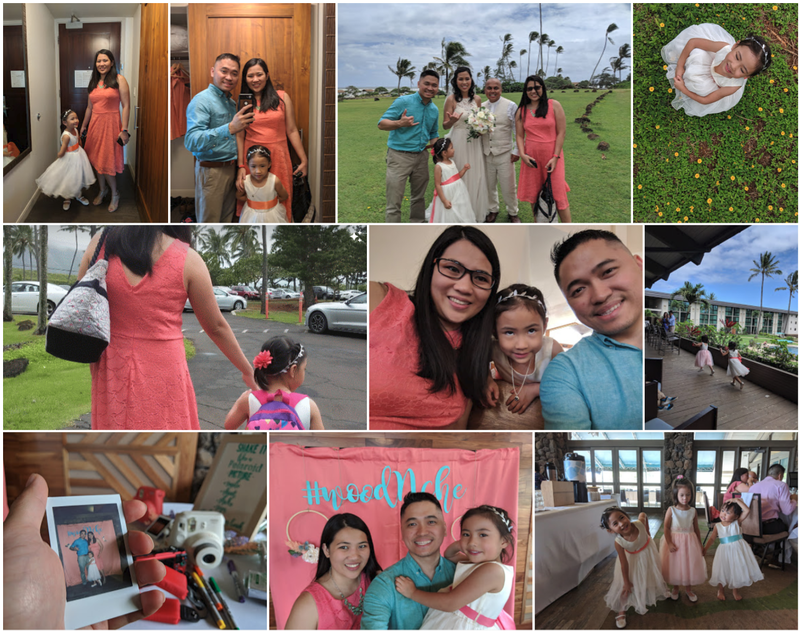 After getting the basket and hairclip for our flower girl, we headed to St. Catherine Parish for the 10am wedding ceremony and went back to the hotel for the reception. 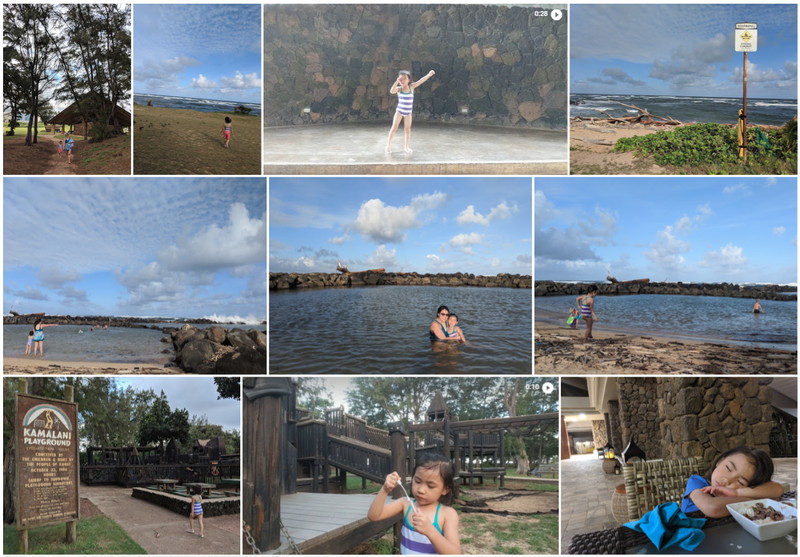 By late afternoon we were able to get some Lydgate Beach and Kalamani playground time at the back of the hotel. Aside from its proximity to our hotel, what I love about this beach is that the rock formations makes it look like two pools which is perfect for kids to swim in. There were a lot of sticks washed up on shore but were not that bothersome. Afterwards, we used our meal credit to get dinner in the hotel before Lily sleeps again.